There was a bit of sewing around here this weekend. 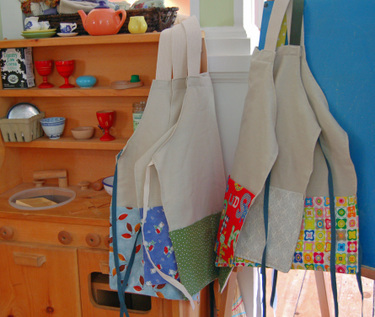 A bunch of children's aprons, mostly headed to Edith & Edna, but a few to my Shop. 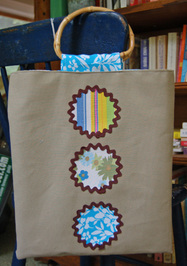 And then two more circle bags, which I'm having such fun making--I love searching for the little bits of fabric to put together. 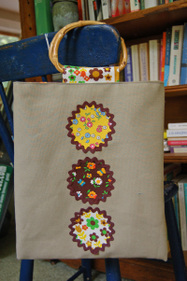 Those two bags are now in the Etsy Shop too.